Home > Travel Guide > Thailand or Vietnam: Which is the Best Destination for Your Adventure? Trying to decide between visiting Thailand or Vietnam? These are two very different countries which both deliver incredible experiences to travellers. Keep reading to discover which of these amazing countries is right for your adventure. Both countries offer incredible cuisines, friendly cultures, and spectacular sights. If you etting in the way of a perpetual holiday, then it’s best to choose either Thailand or Vietnam and save the other for your next adventure. Vietnam’s number one destination is Ha Long Bay, a natural wonder where dramatic karst formations sink into the sea like dragons going for a dip. In Thailand, you have the spectacular beaches of the south, where dramatic karst formations sink into the sea like… well, you get the idea. If you’re a nature buff who likes the water, both Vietnam and Thailand have plenty on offer. Thailand is more focussed on white sand beaches, whereas in Vietnam, you’ll find lots of opportunities to get out on boats, big and small. My favourite city in Vietnam is Hanoi, where wandering the Old Quarter is a mind-blowing experience – expect major culture shock if you haven’t spent much time in Asia. If you’re after something slightly more modern, head to Ho Chi Minh City, a city of contrasts, where the ultra-rich live in million-dollar condos overlooking shacks which house the ultra-poor. In Thailand, you have Bangkok, one of the most mind-boggling cities on the planet. For big-city drama and entertainment, Bangkok will blow you away. If the idea of that much traffic and all those people is a little terrifying, you can always go to Chiang Mai, is a popular digital nomad destination in the north. While Vietnam has lots of spectacular beaches, especially in the southwest, there’s no way they can compare to the world-renowned beaches of southern Thailand. If all you want to do is lie on a sun lounger and stare out at perfect cerulean sea, then Thailand is your hands-down winner. You can do some exciting trekking in Northern Thailand, but if you want to spend a lot of time in wild nature, Vietnam is the place to go. 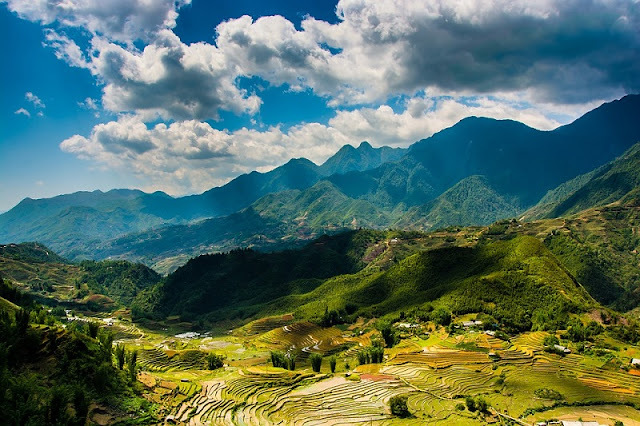 Vietnam’s landscape is so varied, from the mountainous north to the jungley Mekong Delta in the south, that you’ll never get tired of the views. Vietnam doesn’t have a whole lot on offer when it comes to don’t-miss wildlife experiences. In Thailand, you can get close to nature, but the country has a terrible record when it comes to animal cruelty. If you’re going to visit a wildlife attraction in either country, please choose carefully to ensure your money doesn’t contribute to animal cruelty. Please never ride an elephant or visit a tiger temple! These attractions are inherently cruel to animals and many are responsible for poaching of wildlife from neighbouring countries. 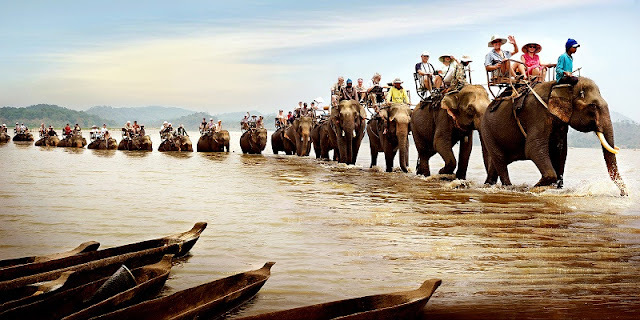 Both Thailand and Vietnam offer amazing experiences when it comes to tours, long or short. In Thailand, hop on a bicycle to explore Bangkok by night, experience the Chiang Mai countryside, or take a 5-day family adventure along the south coast. Travelling in Vietnam and Thailand are two very different experiences. If you want big-city life, parties, and beautiful beaches, with modern conveniences available almost anywhere, then opt for Thailand. If you’re looking for a more challenging destination, where outdoor adventures are plentiful, then choose Vietnam. For omnivores, Vietnamese food is cheap, plentiful, and delicious (or so I’ve been told). There are huge bowls of Pho made with hearty beef broth on nearly every corner, lots of fresh seafood, banh mi sandwiches and lots of other adventurous foods to try. For vegans and vegetarians, Vietnam is a little more difficult. Luckily, you can use my veggie guides to Hanoi, Hue, and Hoi An to find all the most drool-inducing animal-friendly food! In Thailand, the type of food available depends very much on where you go. Chiang Mai has a huge expat population, which means you can get pretty much any type of food you want, including lots of healthy, vegan, and vegetarian options. In the touristy areas of southern Thailand, you’ll find Thai favourites like green curry, papaya salad and pad thai, adapted for a Western palate. Try to experience at least one authentic Thai night market. To do this, you’ll have to leave the most touristy areas and visit a smaller town. Thai night markets are an omnivore foodie’s delight, with tons of strange and wonderful foods to try. Vegans and vegetarians will find market eating in Thailand a challenge, since it’s rare to find veggie options and almost everything contains fish sauce. Hunt until you find a Pad Thai stall (not as easy as it sounds) and then request they make it with no egg. It won’t necessarily be free of fish sauce but it’ll be a delicious alternative to going hungry! As vegans, we prefer the food in Vietnam, as it is easier to find fully meat-free restaurants. Vietnamese cuisine is also lighter and fresher than Thai food. Finally, if you aren’t great with spicy foods, you’ll find it a lot easier to feed yourself in Vietnam. However, if you are an omnivore who loves fiery food, then you won’t be able to get enough of Thai night markets, where spicy curries and mysterious meaty dishes are available for a few dollars. Of course, in Ho Chi Minh City and Bangkok, you can get whatever food your heart desires. 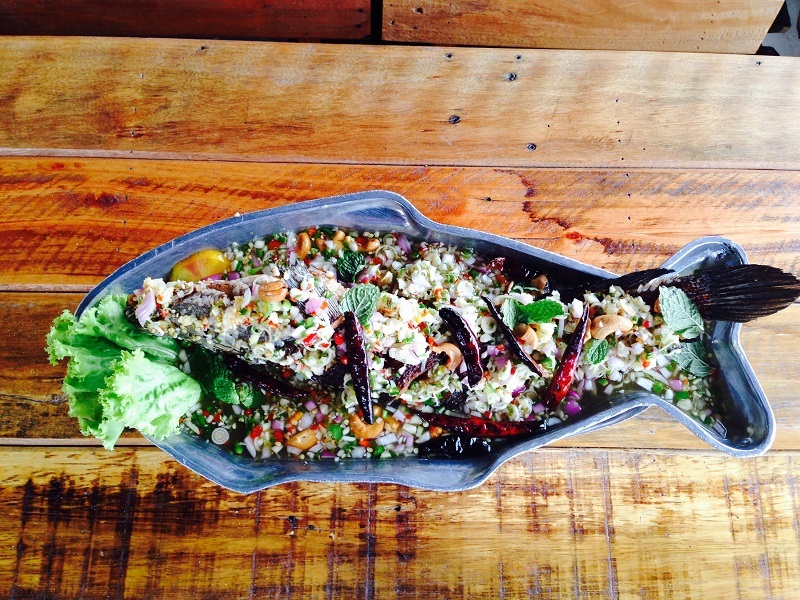 For fine dining aficionados, Bangkok offers some of the best food in the world. In both Vietnam and Thailand, you’ll find happy hour deals anywhere that tourists congregate. In Vietnam, you’re more likely to get a poorly mixed cocktail with the cheapest alcohol available. But the price is right! In Thailand, you’ll get better quality drinks — and you can sip them on a beach lounger or at your swim-up bar. However, they’ll probably cost double or triple what you would pay in Vietnam. Because of laws in Thailand prohibiting people from brewing and selling their own beer, the craft beer scene in Thailand lags behind much of the world. There are a few brewpubs popping up in Bangkok which sell imported beers from around the world. There’s also a healthy underground home-brew scene for beer nerds to explore. 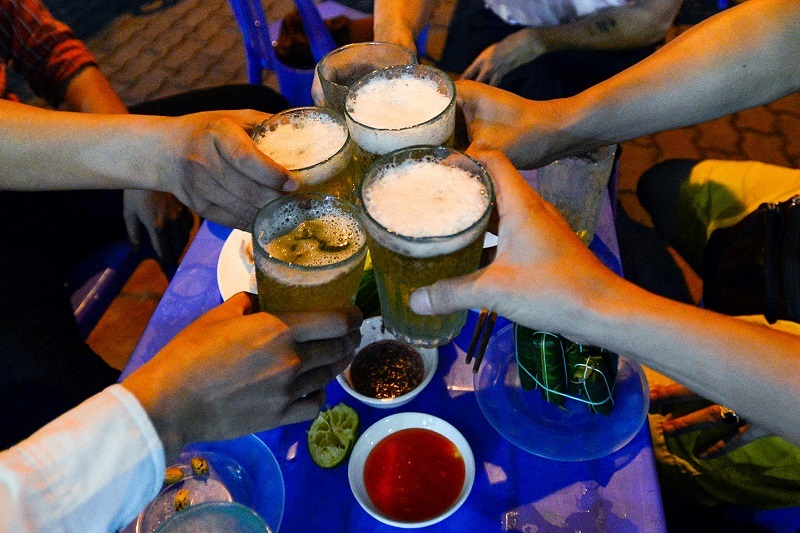 In contrast, Vietnam has a long history of home brewing and it’s practically a tourist rite of passage to sit in a sidewalk cafe drinking watery bia hoi, which costs about 50 cents a cup. In the past few years, the craft beer scene in Vietnam has blossomed and grown so fast it’s impossible to keep up. There are now plenty of great Vietnam-brewed beers to keep the beer geeks (like Stephen) interested! If you’re into cheap and cheerful cocktails or expertly brewed craft beers, then Vietnam wins this category. However, if you like your cocktails carefully poured while lounging by the pool, opt for Thailand.